The BDA has brought together a vibrant team of dancers with different styles and backgrounds to create a new hip hop syllabus. Milk 'n Cookies better known as BJ and Hilton from 'So You Think You Can Dance' have brought a great current vibe to the syllabus with hip hop choreography that kids absolutely love. Sydney's best known Krump specialist 'Johnny K' has given us great insight into the dance style of Krump. Commercial dancer, Mitch Hicks has used his experience to give the syllabus a feel that would be useful to those looking to work in the commercial dance field.  The syllabus is the perfect way to bring fresh dance styles to your studio with structure and consistency. It consists of many different elements that sit broadly under the hip hop umbrella including lyrical hip hop, commercial hip hop, gliding, krump, house, floor work and much more. After the syllabus was created it was tested in a pilot school and BDA teachers have commenced training workshops.